Never diet again by incorporating these 10 can't-miss strategies for permanent weight loss. 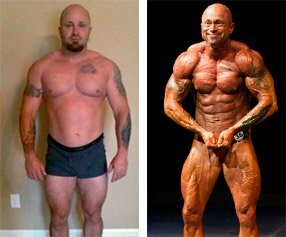 "Want to go from before to after? Follow these strategies to a T."
So you're looking to lose weight for good. Well, who isn't? Two-thirds of Americans are classified as overweight or even obese—and their ranks swell every year. Just knowing you should cut your calories and exercise more isn't enough; you need some specific advice to permanently peel away those pounds. Here are 10 strategies that are fairly easy to implement to help you reach your goal. The more of them you embrace, the more successful you'll be. Transforming your body for good begins right here, right now. So let's get started! Weight training is absolutely essential for weight loss, but it would be a mistake to think doing lots of high-rep sets with light weight is the best way to burn off extra calories and fat. For one, muscle is metabolically active tissue, meaning it burns off loads of calories all day long, even when you're at rest. To build as much muscle tissue as possible or even keep it when dieting, train with moderately heavy weights in the 6-12-rep range. But there's more. Recent studies have shown that intense, moderately heavy lifting has the greatest effect on keeping metabolism elevated (called excess post-exercise oxygen consumption, or EPOC) for as long as 12 hours after the workout has ended. And that adds up to a lot of extra calories burned! Stick with multi-joint movements—squats, bench presses, rows, etc. — which are the most energy demanding because they require multiple muscle groups to work in coordination. These types of moves also better trigger your natural release of testosterone and growth hormone. If you're looking to increase the intensity, try supersets—two or more exercises done back to back with no rest between movements—to keep your heart rate elevated. As an added benefit, your workout will take less time to complete. Another metabolism booster is a technique called Tabata, in which you finish your weight workout with an exercise done for 20 seconds of work, followed by 10 seconds of rest. Typically this is repeated a total of eight times (four minutes total), which also boosts EPOC significantly. Again, choose a multi-joint exercise rather than a single-joint move to get the most benefit. Burning more calories is half the fat-loss equation; the other half is to consume fewer calories. Cardio is one way to enlarge the caloric deficit. But not all cardio strategies are created equal. Research has proven high-intensity interval training (HIIT) is superior to steady-state cardio for not just burning more calories in less time but amplifying the EPOC effect long after you've left the gym. As the name suggests, HIIT is an intense method of training that alternates short bouts of near maximal cardio activity (say, for up to a minute) with less-intense recovery intervals (say, 30 seconds). Research indicates that alternating work/recovery sessions in this fashion allows you to burn up to nine times more body fat, improve EPOC, increase the secretion of muscle-building/fat-burning hormones and improve your heart health. "HIIT is an intense method of training that alternates short bouts of near maximal cardio activity with less-intense recovery intervals." HIIT can be done using any apparatus or in any environment that allows you to exercise near your maximum capacity (say, with sprints outdoors). For people new to this training style, start with a 1:3 work-to-recovery ratio and gradually increase the work time while decreasing the recovery time. "Add HIIT 2-3 times per week either after your workout or on a separate day to enhance calorie burning," says David Sandler, CSCS*D, Director of Science and Education for iSatori supplements. "But don't do more than 20-30 minutes; overdoing HIIT training can negatively impact your muscle-building efforts." Frequently eating foods prepared at restaurants is associated with obesity. Today, Americans eat out almost twice as often as they did 30 years ago. The extra calories can add up fast, what with the larger portion sizes, unlimited drink refills, and tempting desserts you'd probably skip if you ate at home. If you want to save money and eat healthier, prepare your meals at home. Limit trips to restaurants to just once each week. Invest in a cooler or lunch bag you can take to work that keeps meals cool, so you're less likely to eat out during the day. While it goes without saying that eating at a fast-food restaurant is a minefield of bad nutritional choices, restaurants with all the trappings of healthy eating can also lead to weight gain. Research reported in the "Journal of Consumer Research" indicated that consumers often over-ate when they dined at "healthier" restaurants because they underestimated the calories to a greater degree than when dining at greasy fast-food joints. Carbohydrate-rich foods may not pack as many calories as dietary fat (4 vs. 9 per gram), so what's the bad news here? Eating a high carbohydrate meal can affect your insulin levels. Your body breaks down carbs into glucose in your liver, and as glucose levels in your bloodstream rise, your pancreas secretes the hormone insulin to help usher that glucose into cells. Depending on various factors like activity level, this process can support muscle growth or fat storage, but as a rule, the larger the insulin response, the more potential for storing body fat. You need carbs because they fuel your muscles. The key, however, is choosing foods which don't drive up your insulin levels. Complex carbs, which take longer to digest, are much better choices than simple sugars. 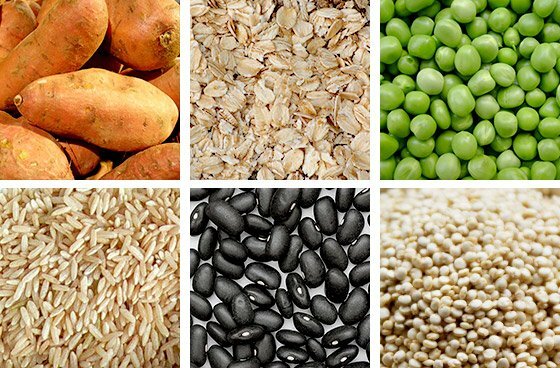 Smart choices include sweet potatoes, beans, lentils, legumes, brown rice, oatmeal, and quinoa. Avoid sugary foods, desserts and candy, and corn syrup, as well as processed carb foods like cereals, crackers, and cookies. "Complex carbs, which take longer to digest, are much better choices than simple sugars. Smart choices include sweet potatoes, beans, lentils, legumes, brown rice, oatmeal, and quinoa." If you're looking to get leaner, cut your carbs. If keeping a food journal sounds like too much trouble, simply substitute two non-starchy veggies each day in place of a starchy carb food (broccoli and green beans instead of baked potatoes). Try a salad with a low-cal dressing instead of mashed potatoes, or eat your grilled chicken sandwich without a bun and add several slices of tomatoes. Non-starchy veggies help fill you up while adding minimal calories (just don't saute them). An extra benefit: you'll lower your risk of cardiovascular disease, type-2 diabetes, and some types of cancers. "If your sweet tooth strikes, antioxidant-loaded raspberries, blueberries and citrus fruits, especially grapefruit, should satisfy you." Now that you know how carbs are linked to fat storage, the last thing you want to do before you go to bed is eat a sugary meal or snack. That tasty after-dinner dessert will spike your blood sugar at precisely the wrong time. High blood-sugar levels also dampen growth-hormone (GH) release, which normally spikes during the sleep cycle. By avoiding carbs in the last meal every day, you keep blood-sugar levels low and thus maximize the natural release of sleep-induced GH. If you're looking for a late-night snack, try some cottage cheese, hard-boiled eggs, deli meat, or nuts. If your sweet tooth strikes, antioxidant-loaded raspberries, blueberries and citrus fruits, especially grapefruit, should satisfy you, says Sandler. 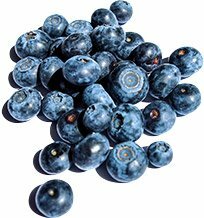 Better yet, toss some of those berries on the cottage cheese to slow your glycemic response to the berries even further. Or use a quality high-protein meal replacement like Eat-Smart made into pudding (using half the liquid) with some berries for a decadent treat that provides nutrients to help your muscles recover and build. Reducing your overall calories so you run a daily deficit means you must cut carbs and watch your fat intake. You want your body to respond by tapping into fat stores for energy. What you don't want is for your body to break down muscle tissue to tap aminos for energy as well. One way to fight the loss of muscle is to ensure you have a steady supply of amino acids in your bloodstream throughout the day Eating more frequent protein-rich meals and a larger amount of protein (up to 1.5 grams per pound of bodyweight per day) provides the constant supply of aminos your body needs during dieting, reducing cortisol levels (a hormone that causes muscle catabolism). Protein has a "thermic" effect as well, meaning your body has to work harder digesting it compared to carbs or fat. To ensure you're not taking in extra calories, eat protein-rich foods with as few add-ons and sauces as possible. Skip the breads, batters, and sauces, take off the skin on fowl, and otherwise eat your protein foods as "clean" as possible. Another way to consume clean protein is by using protein powder or high-protein meal replacements at various times during the day. "Another way to consume clean protein is by using protein powder or high-protein meal replacements at various times during the day." To help you on your weight-loss program, Sandler recommends increasing your consumption of bioactive peptides (BAPs), which are an extraction of colostrum custom-engineered to deliver a wide array of beneficial growth factors. "Adding BAPs like those found in iSatori's Bio-Gro on a calorie-restricted diet will help improve your muscle protein synthesis pathways, helping you to build bigger, stronger, leaner muscles," he says. Here's an unbelievable stat: According to research in the "American Journal of Clinical Nutrition," 37 percent of Americans' total daily calories comes from sugar-sweetened drinks such as sodas and fruit juices. Especially divorced from fiber, liquid sugars will overwhelm your pancreas, leading to the problems mentioned above. What's worse? Liquids don't make you feel full the way fibrous whole foods do. Eat a solid food of about 200 calories, and you'll likely compensate by eating a comparably smaller amount of other solid foods, but that's not true with liquids. 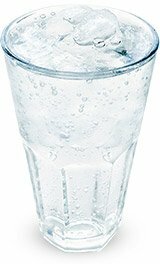 Cut out a slew of calories from the worst kind of sources—sugary drinks and fructose that spike insulin levels—by simply substituting water. Not tasty enough? Squirt Moi or Crystal Light into you water bottle to add flavor and drink up. Competitive bodybuilders have long known about these flavor enhancers when they crave sugary drinks. Sugar-free alternatives are also a better choice. Too much alcohol can also stall your fat-burning efforts. With 7 calories per gram, alcohol presents calories your body can't store, so when you put down a couple of cocktails, your body has no choice but to burn off the alcohol calories first. That prevents any other fat burning that might otherwise have taken place. Any sugar in those alcoholic beverages—and the calories in accompanying snacks—is probably headed straight to your gut. Having an occasional cheat food or meal can help you maintain your sanity during prolonged dieting. "Well-planned cheat meals will keep you sane and teach your body to effectively manage extra food," adds Sandler. Just don't let your cheat meals become a cheat day, or even worse, a cheat weekend. A study reported in "Obesity" found that many adults take in more calories daily during weekends than during the week, which clearly sabotages efforts to improve body composition. Sprinkle in occasional cheat foods during the week, but don't just let completely go on Saturdays and Sundays. If you've ever tried a pre-workout supplement that contains caffeine, then you know the kick these kinds of ingredients provide. Though there are other active ingredients like yerba matte, green tea extract, Citrus aurantium, tyrosine, phenylethylamine, and hordenin which promote fat burning as well, caffeine has been shown to both increase your metabolism, boost lipolysis (fat burning), and increase energy, allowing you to work out for longer periods of time. "Fat burners help for sure," says Sandler. "They won't strip away your fat, but they'll help mobilize it more effectively, especially while you exercise. Fat burners that have stimulatory effects appear to be most effective at shedding a few extra fat pounds in people who are aggressive with both their exercise and their diet." You've probably committed this dietary sin before: Done your grocery shopping while famished only to get home with a bagful of junk food and sweets you otherwise would never eat. Always make sure you've eaten at least a small meal before doing your shopping. A study in the "Journal of Consumer Research" determined that people who do their grocery shopping with a list were less likely to make impulsive choices of nutritionally empty foods. Plan your meals out for the week, and stick to the perimeter of the market for your healthiest choices. 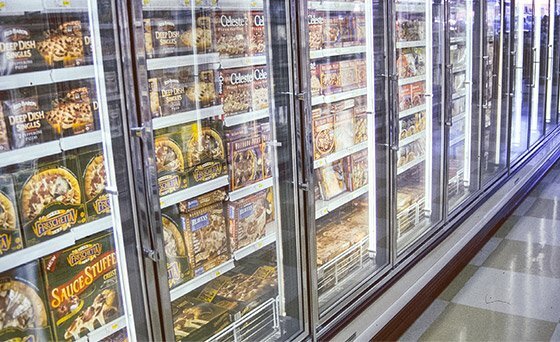 Processed foods laden with sugar, sodium, and trans and hydrogenated fats are typically in the middle of the store. Steer clear. So whether you are a competitive bodybuilder, avid gym enthusiast, or someone starting to get in shape, these 10 insider rules for losing fat and maintaining muscle are a must. 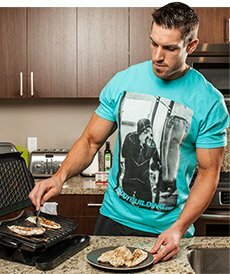 Plan your eating like you plan your workouts; know what you're doing before you get up each day, so you can maximize your results and hit your goals on or ahead of schedule.